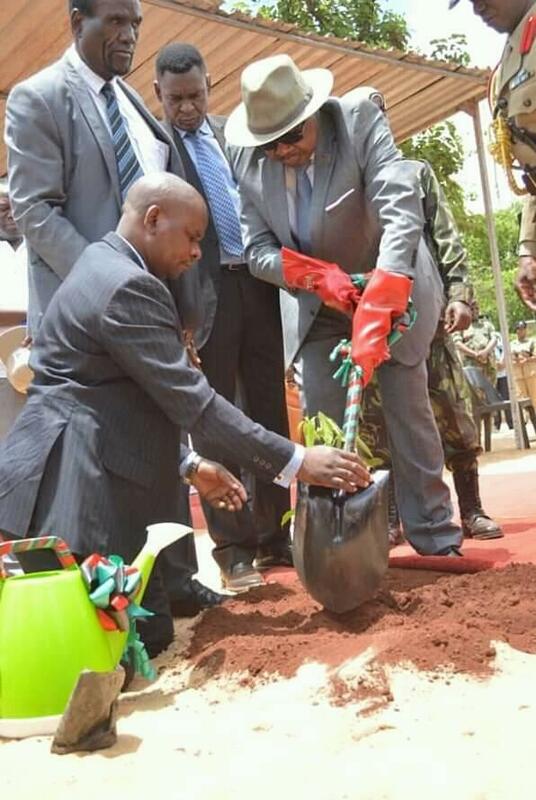 A picture of President Peter Mutharika planting a tree using a decorated shovel has received mixed reactions online. 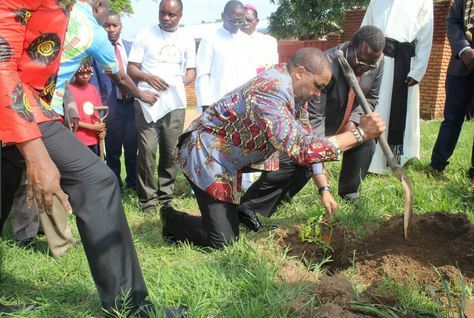 The alleged photo was taken last Saturday at Malingunde in Lilongwe where the Malawi president was launching the 2018/2019 tree planting season. In the picture, the president is seen in his jacket attire while standing on red carpet, wearing gloves and being helped to hold a well decorated shovel into the ground. However, some social media users have faulted the attire the president wore and also the decoration of the shovel saying it was not appropriate to depict a good example. 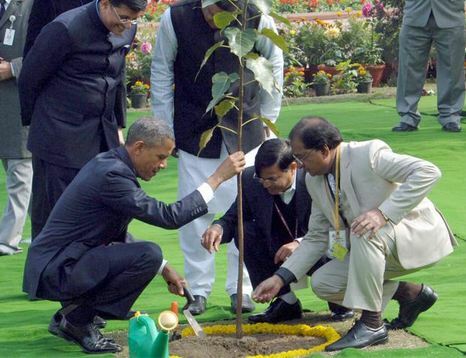 Some users even posted photos of other leaders also planting trees in a different manner than that of our current President. 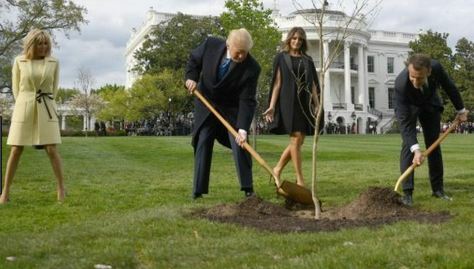 President Donald Trump (L) and his wife Melania (C) participate in a tree planting ceremony with French President Emmanuel Macron (R) and his wife .